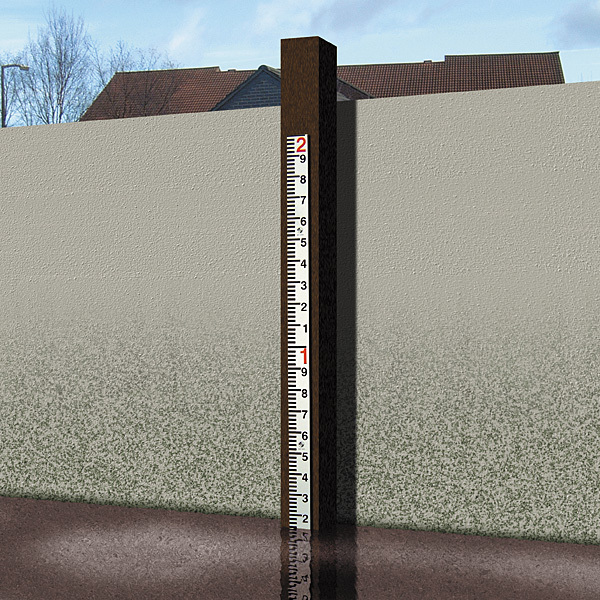 Water height gauges suitable for rivers, ponds, tanks, lakes, streams, harbour walls, etc. 1m sections which can be used individually or combined to suit varying depths. Bold cm graduations are easily read at long distances. Made from high impact material suitable for long term immersion in either salt or fresh water. 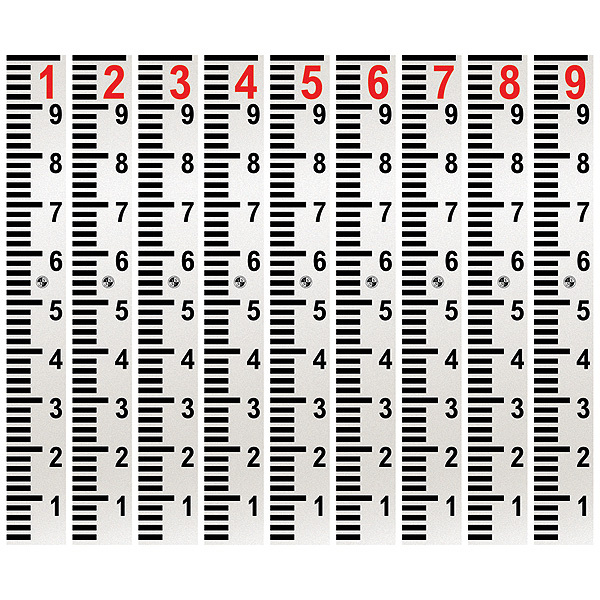 Multiples of 1m sections are fixed end to end to suit the depth. Each section can be fixed by screwing to a wall or upright beam. 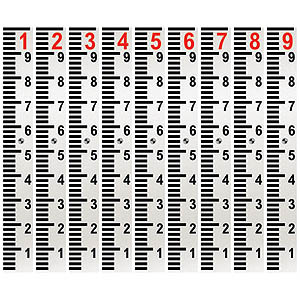 Centimetres printed in black - bold red numbers for metre indication to your requirement.